*Full credit for the concept art goes to the original artist! It's like a cross between a P-51 and the F4U. I'd like to try to design and build this. One design issue I see is the wing placement, seems like the wings are attached perfectly mid-ship, seems like that's not-ideal. Long nose would make weight and balance easier, also your wing could start off Corsair like but note that the wing is more tapered like a P-51, bent at the change in taper, I would make the aft fuselage longer for control though, short coupled aircraft are twitchy and difficult to fly especially if you plan to make his with gear to lift off the ground. All just thoughts, for whatever they are worth. That is one attractive warbird. I would love to see someone build this. Interesting concept! Not sure if you're going to try to put in retracts but it looks to me like you would need some interesting custom units that traveled WAY more than 90*. It looks like the design was for mustang style units in a corsair wing. The wing also has clipped tips like a P-51 instead of the elliptical tips like an F4U would have. I agree with making the fuselage longer for better balance and control. I didn't even notice that but you are right, the gear retracts all the way up the wing bend. 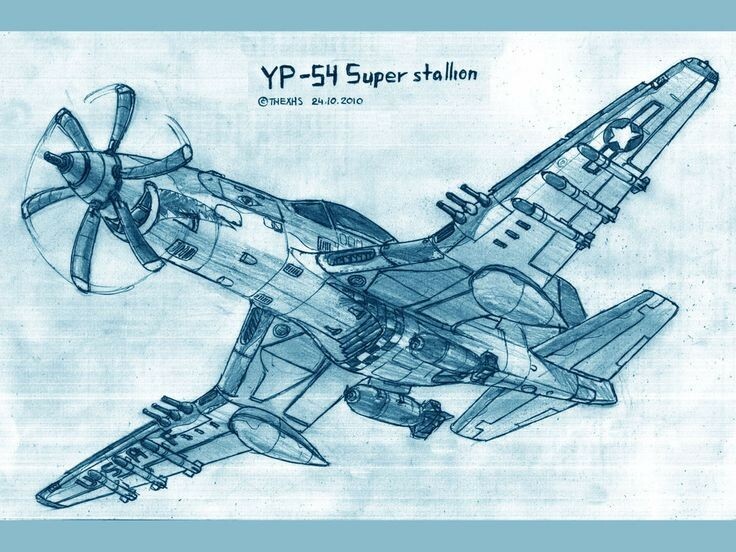 That's more like a P-51 because the F4U retracts it's gear straight back. I wasn't planning on doing retracts, at least for a first go. I think I will just do fixed gear. Yeah. It was just something that jumped out at me. Rotating retracts are the devil so I love the idea of standard retracts in a Gull Wing, but that would be something like 130* or so. Custom work for sure.